AN ANIMAL advocacy group has roasted Hyundai's Super Bowl ad that suggests meat-free dinner parties are terrible. 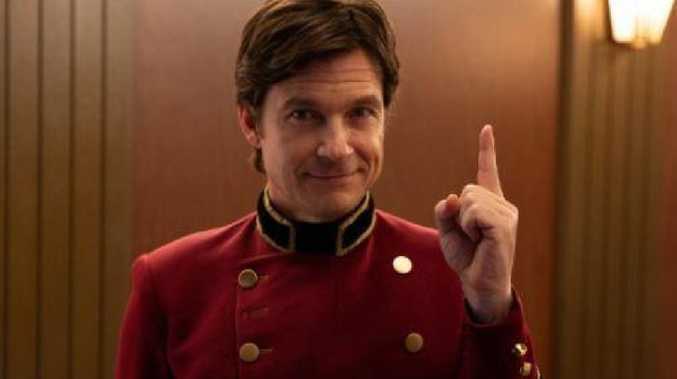 Actor Jason Bateman features as an elevator attendant, encountering unpleasantness on every floor down, including one hosting a vegan dinner party where he jokes, "Is that even a thing?" 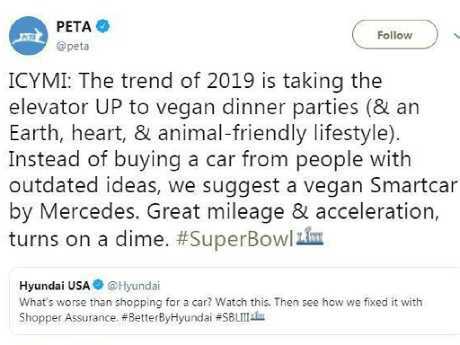 People for the Ethical Treatment of Animals (PETA) didn't respond well to the ad, condemning Hyundai on Twitter: "The trend of 2019 is taking the elevator UP to vegan dinner parties. Instead of buying a car from people with outdated ideas, we suggest a vegan Smartcar by Mercedes. Great mileage & acceleration, turns on a dime." PETA has lashed out at Hyundai's Super Bowl ad. 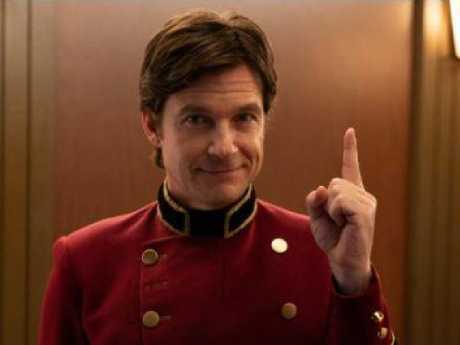 In the video, Bateman is filmed welcoming people into a kind of elevator to hell as he asks, "Hello folks, what floor?" A couple wanders inside and replies, "We're car shopping." Bateman jokes: "Oh, you're going down, way down," pressing the button several levels below. The first floor he encounters is for people undergoing "root canal", followed by a level for those on "jury duty". The next one down depicts passengers suffering in the middle seats of a six-hour flight, where the door opens to show people vomiting, blowing their nose and laughing loudly. Vegans have slaughtered Hyundai's ad, which features a 'beetloaf' instead of a meatloaf. 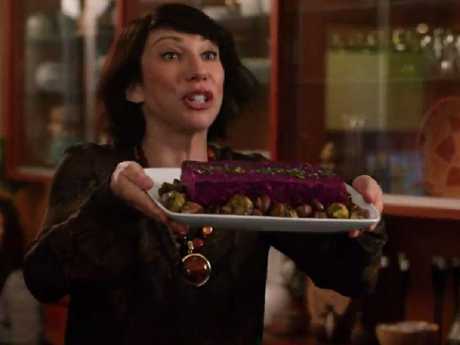 However, the most contentious floor is the "Vegan Dinner Party", where a woman offers an alternative to meatloaf: "beetloaf", surrounded by roast brussels sprouts, which makes one man dry-retch in the elevator. A teenage boy on another floor is not amused about getting "the talk" from his dad, who speaks about how his own body has changed and "even grandma's body". On the bottom floor, people are shown the "car shopping" level, where the couple refuse to alight, referring to Hyundai's new online shopping tool. This prompts Bateman to change direction and hit the button to go straight up instead. Although, at first glance, the ad seems harmless, PETA - and vegan fans everywhere - have slammed it, saying Hyundai had "ostracised an entire group of people". Suzy Welch said the ad was "hilarious" until the car manufacturer showed a "gratuitous dis of vegan dinner parties … They've never been to one of our cruelty-free yumfests - and now they never will be". In the end, Hyundai had to backtrack and say on Twitter it didn't hate vegan food, tweeting, "We actually love vegan food and are glad it's going more mainstream." However, it got a big thumbs-up from scores of people who defended the company on social media, saying they'd "rather eat a juicy steak than ever go to a vegan party", and it was one of the "funniest commercials" they'd seen. PETA said on Facebook "hundreds of millions of chickens are killed and eaten during Super Bowl weekend each year. Refuse to contribute to their suffering!" It said members were in Atlanta "at Super Bowl handing out free vegan wings to tailgaters and showing everyone that vegan food is compassionate, healthy and delicious!"